Okay, I am going out on a limb (or should I say fin) with this fossil identification. 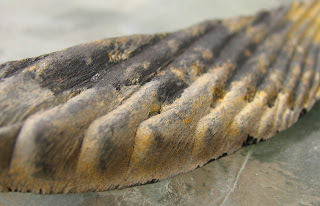 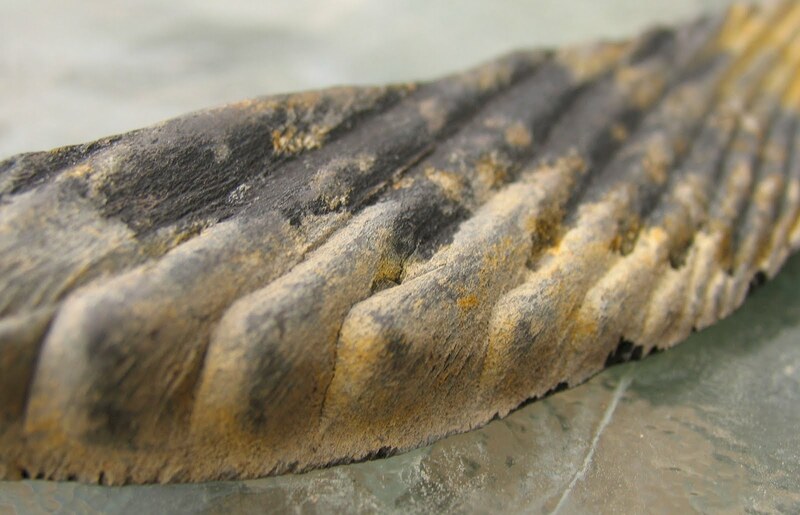 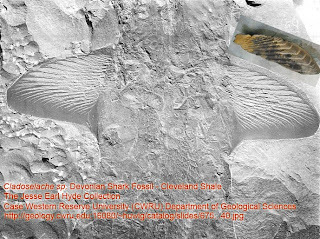 This fossil imprint appears (to me) to be a fragment of a pectoral fin of an Upper Devonian Period Cladoselache shark. 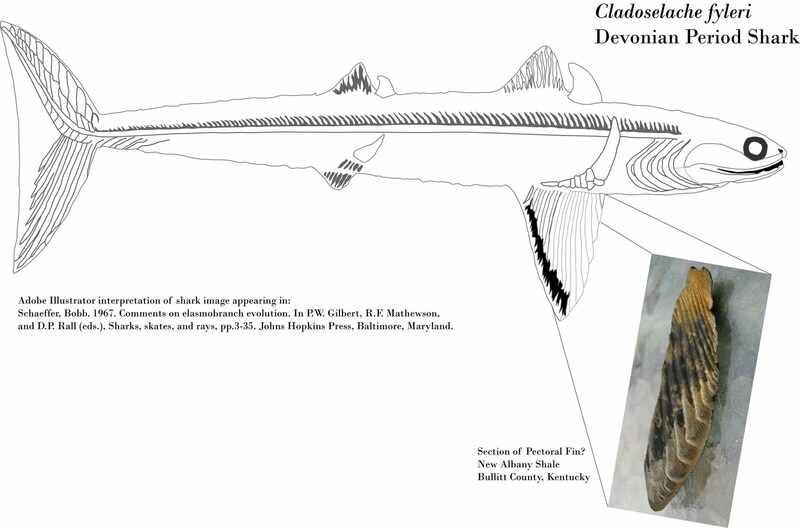 Now I have shown this fossil to a number of people and the Cincinnati & Cleveland museums mostly to met with silence or skepticism. 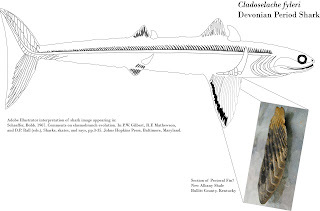 As an aid to readers, I have created a graphic using Adobe Illustrator with diagram representing the shark with where the fossil might fit on its body. 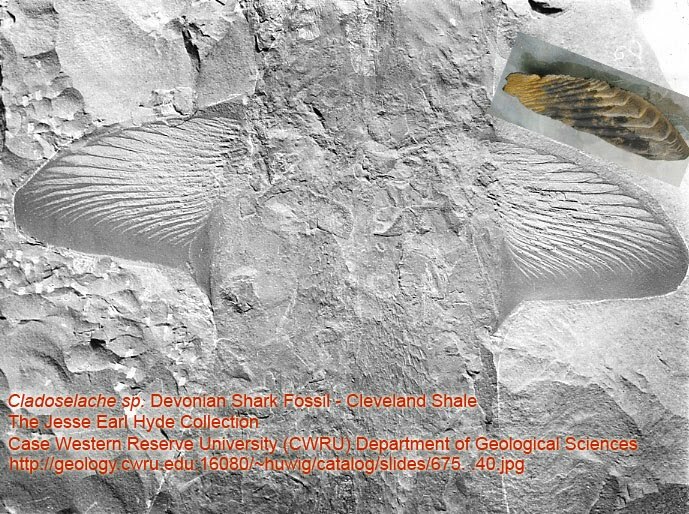 It looks to me to somewhat match the Cleveland Shale shark fossils. 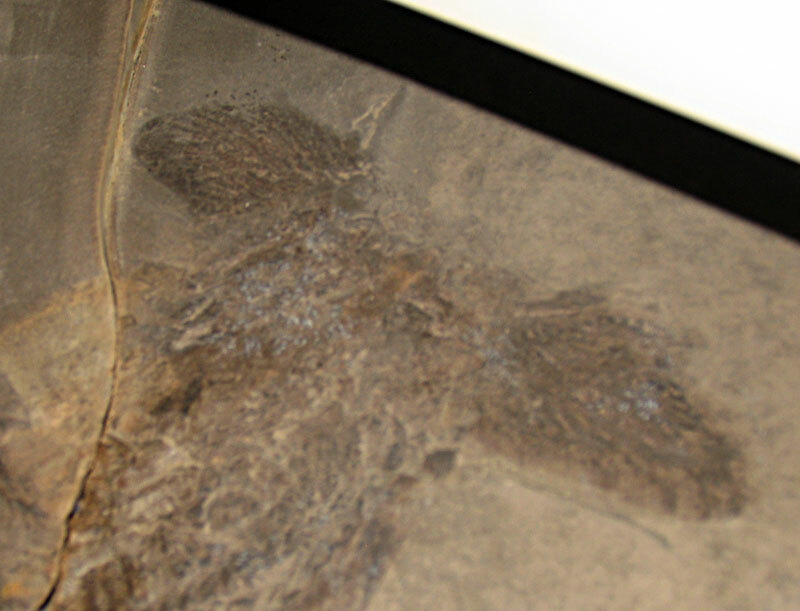 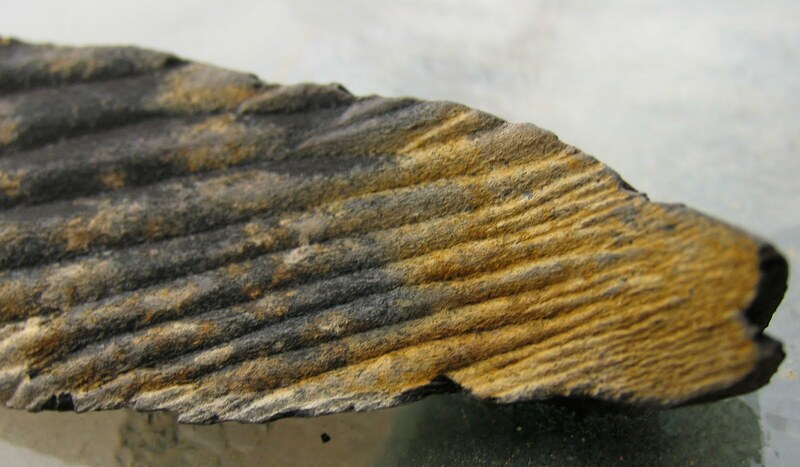 This fossil was found in the New Albany Shale of Bullitt County which is synonymous.